I haven’t written about this in a while, but one of my first exposures to computing was from using Atari 8-bit computers, beginning in 1981. I’ve written about this in a few posts: Reminiscing, Part 1, Reminiscing, Part 3, and My journey, Part 1. I found out about Antic–The Atari 8-bit podcast through a vintage computer group on Google+. They have some great interviews on there. At first blush, the format of these podcasts sounds amateurish. The guys running the show sound like your stereotypical nerds, and sometimes the audio sounds pretty bad, because the guest responses are being transmitted through Skype, or perhaps using cell phones, but if you’re interested in computer history like I am, you will get information on the history of Atari, and the cottage industry that was early personal computing and video gaming that you’re not likely to find anywhere else. The people doing these podcasts are also active contributors to archive.org, keeping these interviews for posterity. What comes through is the business was informal. It was also possible for one or two people to write a game, an application, or a complete operating system. Those days are gone. Most of the interviews I’ve selected cover the research and development Atari did from 1977 until 1983, when Warner Communications (now known as Time-Warner) owned the company, because it’s the part of the history that I think is the most fascinating. So much of what’s described here is technology that was only hinted at in old archived articles I used to read. It sounded so much like opportunity that was lost, and indeed it was, because even though it was ready to be produced, the higher-ups at Atari didn’t want to put it into production. The details make that much more apparent. Several of these interviews cover the innovative work of the researchers who worked under Alan Kay at Atari. Kay left Xerox PARC, and worked at Atari as its chief scientist from 1981 to 1984. In 1983, Atari, and the rest of the video games industry went through a market crash. Atari’s consumer electronics division was sold to Jack Tramiel in 1984. Atari’s arcade game business was spun off into its own company. Both used the name “Atari” for many years afterward. For those who remember this time, or know their history, Jack Tramiel founded Commodore Business Machines in the 1950s as a typewriter parts company. Commodore got into producing computers in the late 1970s. Jack Tramiel had a falling out with Commodore’s executives over the future direction of the company in 1984, and so he left, taking many of Commodore’s engineers with him. He bought Atari the same year. As I’ve read the history of this period, it sounds literally as if the two companies did a “switch-a-roo,” where Amiga’s engineers (who were former Atari employees) came to work at Commodore, and many of Commodore’s engineers came to work at Atari. 1984 onward is known as the “Tramiel era” at Atari. I only have one interview from that era, the one with Bob Brodie. That time period hasn’t been that interesting to talk about. I’ll keep adding more podcasts to this post as I find more interesting stuff. I cover in text a lot of what was interesting to me in these interviews. I’ve provided links to each of the podcasts as sources for my comments. It’s not just a game where you fool around. There is actual scoring in it. The point of the game is to become the most popular, or “liked” character, and this is scored by what other characters in the game think of you, and of other characters. This is determined by some mathematical formula that Crawford came up with. AI is employed in the game, because the other characters are played by the computer, and each is competing against you to become the most popular. You influence the other players by gossiping about them, to them. The other characters try to influence you by sharing what they think other characters are thinking about you or someone else. Since Atari computers had limited resources, there is no actual talking, though they added the effect of you hearing something that resembles a human voice as each computer character gossips. You gossip via. a “facial expression vocabulary.” It’s not easy to follow what’s going on in the game. You call someone. You tell them, “This is how I feel about so-and-so.” They may tell you, “This is what X feels about Y,” using brackets and a pulsing arrow to denote, “who feels about whom.” The character with brackets around them shows a facial expression to convey what the character on the other end of the phone is telling you. Another surprise was that Wilkinson did not paint a rosy picture of running OSS. He said of himself that in 20/20 hindsight, he shouldn’t have been in business in the first place. He was not a businessman at heart. All I take from that is that he should have had someone else running the business, not that OSS shouldn’t have existed. It was an important part of the developer community around Atari computers at the time. Its Mac/65 assembler, in particular, was revered as a “must have” for any serious Atari developer. Its Action! language compiler (an Atari 8-bit equivalent of the C language) was also highly praised, though it came out late in the life of the Atari 8-bit computer line. Incidentally, Antic has an interview with Action!‘s creator, Clinton Parker, and with Stephen Lawrow, who created Mac/65. Wilkinson died on November 10, 2015. Interview #11 with David Small, columnist for Creative Computing, and Current Notes. He was the creator of the Magic Sac, Spectre 128, and Spectre GCR Macintosh emulators for the Atari ST series computers. It was great hearing this interview, just to reminisce. I had read Small’s columns in Current Notes years ago, and usually enjoyed them. I had a chance to see him speak in person at a Front Range Atari User Group meeting while I was attending Colorado State University, around 1993. I had no idea he had lived in Colorado for years, and had operated a business here! He had a long and storied history with Atari, and with the microcomputer industry. Interview #30 with Jerry Jessop. He worked at Atari from 1977 to 1984 (the description says he worked there until 1985, but in the interview he says he left soon after it was announced the Tramiels bought the company, which was in ’84). He worked on Atari’s 8-bit computers. There were some inside baseball stories in this interview about the development of the Atari 1400XL and 1450XLD, which were never sold. The most fascinating part is where he described working on a prototype called “Mickey” (also known as the 1850XLD) which might have become Atari’s version of the Amiga computer had things worked out differently. It was supposed to be a Motorola 68000 computer that used a chipset that Amiga Inc. was supposed to develop for Atari, in exchange for money Atari had loaned to Amiga for product development. There is also history which says that Atari structured the loan in a predatory manner, thinking that Amiga would never be able to pay it off, in which case Atari would’ve been able to take over Amiga for free. Commodore intervened, paid off the loan, got the technology, and the rest is history. This clarified some history for me, because I had this vague memory for years that Atari planned to make use of Amiga’s technology as part of a deal they had made with them. The reason the Commodore purchase occurred is Amiga ran through its money, and needed more. It appears the deal Atari had with Amiga fell through when the video game crash happened in 1983. Atari was pretty well out of money then, too. Interview #37 with David Fox, creator of Rescue on Fractalus, and Ballblazer at Lucasfilm Games. An interesting factoid he talked about is that they wrote these games on a DEC Vax. For Ballblazer, they used a cross-assembler that was written in Lisp. I read elsewhere that the assembler had the programmer write code using a Lisp-like syntax. They’d assemble the game, and then download the object code through a serial port on the Atari for testing. Fox also said that when they were developing Ballblazer, they sometimes used an Evans & Sutherland machine with vector graphics to simulate it. Interview #40 with Doug Carlston, co-founder and CEO of Brøderbund Software. Brøderbund produced a series of hit titles, both applications and games for microcomputers. To people like me who were focused on the industry at the time, their software titles were very well known. Carlston talked about the history of the company, what led to its rise, and fall. He also had something very interesting to say about software piracy. He was the first president of the Software Publishers Association, and he felt that they took too harsh a stand on piracy, because from his analysis of sales in the software industry, it didn’t have the negative effect on it that most people thought it did. He saw piracy as a form of marketing. He thought it increased the exposure of software to people who would have otherwise not known about it, or thought to buy it. He said when he compared the growth of software sales from this era to when software was first released on CDs, during a time when recording to CDs was too expensive for most consumers, and the volume of data held on CDs would have taken up a very large chunk of users’ hard drive space, if not exceeded it (so piracy was nearly impossible), he said he didn’t notice that big of a difference in the sales growth curves. Nevertheless, some developers at Brøderbund were determined to foil pirates, and a story he told about one developer’s efforts was pretty funny. 🙂 Though, he thought it went “too far,” so they promptly took out the developer’s piracy-thwarting code. Interview #49 with Curt Vendel and Marty Goldberg. They spoke in detail about the history of how Atari’s video game and computer products developed, while Atari was owned by Warner Communications. A surprising factoid in this interview is they revealed that modern USB technology had its beginning with the development of the Atari 8-bit’s Serial Input/Output (SIO) port. This port was used to daisy-chain peripherals, such as disk drives, serial/parallel ports, and printers to the Atari computer. The point was it was an intelligent port architecture that was able to identify what was hooked up to the computer, without the user having to configure hardware or software. A driver could be downloaded from each device at bootup (though not all SIO devices had built-in drivers). Each device was capable of being ready to go the moment the user plugged it into either the computer, or one of the other SIO-compatible peripherals, and turned on the computer. Interview #58 with Jess Jessop, who worked in Atari’s research lab. In one project, called E.R.I.C., he worked on getting the Atari 800 to interact with a laserdisc player, so the player could run video segments that Atari had produced to market the 800, and allow people to interact with the video through the Atari computer. The laserdisc player would run vignettes on different ways people could use the computer, and then have the viewer press a key on the keyboard, which directed the player to go to a specific segment. He had a really funny story about developing that for the Consumer Electronics Show. I won’t spoil it. You’ll have to listen to the interview. I thought it was hilarious! 😀 If you listen to some of the other podcasts I have here, Kevin Savetz, who conducted most of these interviews, tried to confirm this story from other sources. All of them seem to have denied it, or questioned it (questioned whether it was possible). So, this story, I think, is apocryphal. Here’s a bit of the laserdisc footage. Jessop also mentioned Grass Valley Lab (Cyan Engineering), a separate research facility that worked on a variety of technology projects for Atari, including “pointer” technology, using things like tablet/stylus interfaces, and advanced telephony. Kevin Savetz interviewed a few other people from Grass Valley Lab in other podcasts I have here. Jessop said the best part of his job was Alan Kay’s brown bag lunch sessions, where all Alan would do was muse about the future, what products would be relevant 30 years down the road, and he’d encourage the researchers who worked with him to do the same. The really interesting part was listening to Jessop talk about how the research lab had worked on a “laptop” project in the early 1980s with Alan Kay. He said they got a prototype going that had four processors in it. Two of them were a Motorola 68000 and an Intel processor. He said the 68000 was the “back-end processor” that ran Unix, and the Intel was a “front-end processor” for running MS-DOS, which he said was for “interacting with the outside world” (ie. running the software everyone else was using). He said the Unix “back end” ran a graphical user interface, “because Alan Kay,” and the “front-end processor” ran DOS in the GUI. He said the prototype wasn’t going to end up being a “laptop,” since it got pretty heavy, ran hot with all the components in it, and had loud cooling fans. It also had a rather large footprint. The prototype was never put into production, according to Jessop, because of the market crash in 1983. Jessop expressed how fun it was to work at Atari back when Warner Communications was running it. That’s something I’ve heard in a few of these interviews with engineers who worked there. They said it spoiled people, because most other places have not allowed the free-wheeling work style that Atari had. Former Atari engineers have since tried to recreate that, or find someplace that has the same work environment, with little success. Interview #65 with Steve Mayer, who helped create Grass Valley Labs, and helped design the hardware for the Atari 2600 video game system, and the Atari 400 and 800 personal computers. The most interesting part of the interview for me was where he talked about how Atari talked to Microsoft about writing the OS for the 400 and 800. They were released in 1979, and Mayer was talking about a time before that when both computers were still in alpha development. He said Microsoft had a “light version of DOS,” which I can only take as an analogy to some other operating system they might have been in possession of, since PC-DOS didn’t even exist yet. I remember Bill Gates saying in the documentary “Triumph of the Nerds” that Microsoft had a version of CP/M on some piece of hardware (the term “softcard” comes to mind) that it had licensed from Digital Research by the time IBM came to them for an OS for their new PC, in about 1980. Maybe this is what Mayer was talking about. Another amazing factoid he talked about is Atari considered having the computers boot into a graphical user interface, though he stressed that they didn’t envision using a mouse. What they looked at instead was having users access features on the screen using a joystick. 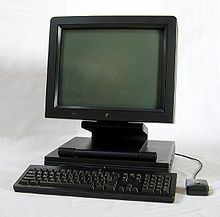 What they decided on instead was to have the computer either boot into a “dumb editor” called “Memo Pad,” where the user could type in some text, but couldn’t do anything with it, or, if a Basic cartridge was inserted, to boot into a command line interface (the Basic language). Mayer said that toward the end of his time at Atari, they were working on a 32-bit prototype. My guess is this is the machine that Jess Jessop talked about above. From documentation I’ve looked up, it seems there were two or three different 32-bit prototypes being developed at the time. Interview #73 with Ron Milner, engineer at Cyan Engineering from 1973-1984. Milner described Cyan as a “think tank” that was funded by Atari. You can see Milner in the “Splendor in the Grass” video above. He talked about co-developing the Atari 2600 VCS for the first 15 minutes of the interview (in the podcast). For the rest, he talked about experimental technologies. He mentioned working on printer technology for the personal computer line, since he said printers didn’t exist for microcomputers when the Atari 400/800 were in development. He worked on various pointer control devices under Alan Kay. He mentioned working on a touch-screen interface. He described a “micro tablet” design, where they were thinking about having it be part of the keyboard housing (sounding rather like the trackpads we have on laptops). He also described a walnut-sized optical mouse he worked on. These latter two technologies were intended for use on the 8-bit computers, before Apple introduced their GUI/mouse interface in 1983 (with the Lisa), though Atari never produced them. The most striking thing he talked about was a project he worked on shortly after leaving Atari, I guess under a company he founded, called Applied Design Laboratories (ADL). He called it a “space pen.” His setup was a frame that would fit around a TV set, with what he called “ultrasonic transducers” on it that could detect a pen’s position in 3D space. A customer soon followed that had made investments in virtual reality technology, and which used his invention for 3D sculpting. This reminded me so much of VR/3D sculpting technology we’ve seen demonstrated in recent years. Interview #75 with Steve Davis, Director of Advanced Research for Atari, who worked at Cyan Engineering under Alan Kay. He worked on controlling a laserdisc player from an Atari 800, which has been talked about above (E.R.I.C. ), a LAN controller for the Atari 800 (called ALAN-K, which officially stood for “Atari Local Area Network, Model-K,” but it was obviously a play on Alan Kay’s name), and “wireless video game cartridges.” Davis said these were all developed around 1980, but at least some of this had to have been started in 1981 or later, because Kay didn’t come to Atari until then. Davis mentioned working on some artificial intelligence projects, but as I recall, didn’t describe any of them. He said the LAN technology was completed as a prototype. They were able to share files, and exchange messages with it. It was test-deployed at a resort in Mexico, but it was never put into production. The “wireless video game cartridge” concept was also a completed prototype. This was only developed for the Atari 2600. From Davis’s description, you’d put a special cartridge in the 2600. You’d choose a game from a menu, pay for it, the game would be downloaded to the cartridge wirelessly, and you could then play it on your 2600. It sounded almost as if you rented the game remotely, downloading the game into RAM in the cartridge, because he said, “There was no such thing as Flash memory,” suggesting that it was not stored permanently on the cartridge. The internet didn’t exist at the time, and even if it did, it wouldn’t have allowed this sort of activity on it, since all commercial activity was banned on the early internet. He said Atari did not use cable technology to transmit games, but cooperated with a few local radio stations to act as servers for these games, which would be transmitted over FM subcarrier. He didn’t describe how this system handled paying for the games, either. In any case, it was not something that Atari put on the broad market. Kevin Savetz, who’s done most of these interviews, has described APX, the Atari Program eXchange, as perhaps the first “app store,” in the sense that it was a catalog of programs sponsored by Atari, exclusively for Atari computer users, with software written by Atari employees, and non-Atari (independent) authors, who were paid for their contributions based on sales. Looking back on it now, it seems that Atari pioneered some of the consumer technology and consumer market technologies that are now used on modern hardware platforms, using distribution technology that was cutting edge at the time (though it’s ancient by today’s standards). Davis said that Warner Communications treated Atari like it treated a major movie production. This was interesting, because it helps explain a lot about why Atari made its decisions. With movies, they’d spend millions, sometimes tens of millions of dollars, make whatever money they made on it, and move on to the next one. He said Warner made a billion dollars on Atari, and once the profit was made, they sold it, and moved on. He said Warner was not a technology company that was trying to advance the state of the art. It was an entertainment company, and that’s how they approached everything. The reason Atari was able to spend money on R&D was due to the fact that it was making money hand over fist. A few of its projects from R&D were turned into products by Atari, but most were not. A couple I’ve heard about were eventually turned into products at other companies, after Atari was sold to Jack Tramiel. From how others have described the company, nobody was really minding the store. During its time with Warner, it spent money on all sorts of things that never earned a return on investment. One reason for that was it had well-formed ideas that could be turned into products, but they were in markets that Atari and Warner were not interested in pursuing, because they didn’t apply to media or entertainment. Edit 7/30/2017: After some consultation with a historical researcher, I’ve decided to remove a podcast that I had placed here, of an interview with Tim McGuinness. What I learned was that he’s not a trustworthy source of information on work done at Atari, nor about Atari. Some circumstantial evidence I looked into a few days ago seemed to confirm this. I apologize if what I posted here has misled anyone. Interview #77 with Tandy Trower, who worked with Microsoft to develop a licensed version of Microsoft Basic for the Atari computers. Trower said that Atari’s executives were so impressed with Microsoft that they took a trip up to Seattle to talk to Bill Gates about purchasing the company! Keep in mind that at the time, this was entirely plausible. Atari was one of the fastest growing companies in the country. It had turned into a billion-dollar company due to the explosion of the video game industry, which it led. It had more money than it knew what to do with. Microsoft was a small company, whose only major product was programming languages, particularly its Basic language. Gates flatly refused the offer, but it’s amazing to contemplate how history would have been different if he had accepted! Trower told another story of how he left to go work at Microsoft, where he worked on the Atari version of Microsoft Basic from the other end. He said that before he left, an executive at Atari called him into his office and tried to talk him out of it, saying that Trower was risking his career working for “that little company in Seattle.” The executive said that Atari was backed by Warner Communications, a mega-corporation, and that he would have a more promising future if he stayed with the company. As we now know, Trower was onto something, and the Atari executive was full of it. I’m sure at the time it would’ve looked to most people like the executive was being sensible. Listening to stories like this, with the hindsight we now have, is really interesting, because it just goes to show that when you’re trying to negotiate your future, things in the present are not what they seem. Interview #132 with Jerry Jewel, a co-founder of Sirius Software. Their software was not usually my cup of tea, though I liked “Repton,” which was a bit like Defender. This interview was really interesting to me, though, as it provided a window into what the computer industry was like at the time. Sirius had a distribution relationship with Apple Computer, and what he said about them was kind of shocking, given the history of Apple that I know. He also tells a shocking story about Jack Tramiel, who at the time was still the CEO of Commodore. The ending to Sirius was tragic. I don’t know what it was, but it seemed like the company attracted not only some talented people, but also some shady characters. The company entered into business relationships with a series of the latter, which killed the company. Interview #201 with Atari User Group Coordinator, Bob Brodie. He was hired by the company in about 1989. This was during the Tramiel era at Atari. I didn’t find the first half of the interview that interesting, but he got my attention in the second half when he talked about some details on how the Atari ST was created, and why Atari got out of the computer business in late 1993. I was really struck by this information, because I’ve never heard anyone talk about this before. Soon after Jack Tramiel bought Atari in 1984, he and his associates met with Bill Gates. They actually talked to Gates about porting Windows to the Motorola 68000 architecture for the Atari ST! Brodie said that Windows 1.0 on Intel was completely done by that point. Gates said Microsoft was willing to do the port, but it would take 1-1/2 years to complete. That was too long of a time horizon for their release of the ST, so the Tramiels passed. They went to Digital Research, and used their GEM interface for the GUI, and a port of CP/M for the 68000; what Atari called “TOS” (“The Operating System”). From what I know of the history, Atari was trying to beat Commodore to market, since they were coming out with the Amiga. This decision to go with GEM, instead of Windows, would be kind of a fateful one. Brodie said that the Tramiels ran Atari like a family business. Jack Tramiel’s three sons ran it. He doesn’t say when the following happened, but I’m thinking this would’ve been about ’92 or ’93. When Sam Tramiel’s daughter was preparing to go off to college, the university she was accepted at said she needed a computer, and it needed to be a Windows machine. Sam got her a Windows laptop, and he was so impressed with what it could do, he got one for himself as well. It was more capable, and its screen presentation looked better than what Atari had developed with their STacy and ST Book portable models. Antonio Salerno, Atari’s VP of Application Development, had already quit. Before heading out the door, he said to them that, “they’d lost the home computer war, and that Windows had already won.” After working with his Windows computer for a while, Sam probably realized that Salerno was right. Brodie said, “I think that’s what killed the computer business,” for Atari. “Sam went out shopping for his daughter, and for the first time, really got a good look at what the competition was.” I was flabbergasted to hear this! I had just assumed all those years ago that Atari was keeping its eye on its competition, but just didn’t have the engineering talent to keep up. From what Brodie said, they were asleep at the switch! Atari had a couple next-generation “pizza box” computer models (referring to the form factor of their cases, similar to NeXT’s second-generation model) that were in the process of being developed, using the Motorola 68040, but the company cancelled those projects. There was no point in trying to develop them, it seems, because it was clear Atari was already behind. What I heard at the time was that Atari’s computer sales were flat as well, and that they were losing customers. After ’93, Atari focused on its portable and console video game business. Interview #185 with Ted Kahn, who created the Atari Institute for Education Action Research, while Warner owned Atari. This was Antic’s best interview. Basically Kahn’s job with Atari was to make connections with non-profits, such as foundations, museums, and schools across the country, and internationally, to see if they could make good use of Atari computers. His job was to find non-profits with a mission that was compatible with Atari’s goals, and donate computers to them, for the purpose of getting Atari computers in front of people, as a way of marketing them to the masses. It wasn’t the same as Apple’s program to get Apple II computers into all the schools, but it was in a similar vein. What really grabbed my attention is I couldn’t help but get the sneaking suspicion that I was touched by his work as a pre-teen. In 1981, two Atari computers were donated to my local library by some foundation whose name I can’t remember. Whether it had any connection to the Atari Institute, I have no idea, but the timing is a bit conspicuous, since it was at the same time that Kahn was doing his work for Atari. He said that one of the institutions he worked with in 1981 was the Children’s Museum in Washington, D.C. My mom played a small part in helping to set up this museum in the late 1970s, while we lived in VA, when I was about 7 or 8 years old. She moved us out to CO in 1979, but I remember we went back to Washington, D.C. for some reason in the early 1980s, and we made a brief return visit to the museum. I saw a classroom there that had children sitting at Atari computers, working away on some graphics (that’s all I remember). I wondered how I could get in there to do what they were doing, since it looked pretty interesting, but you had to sign up for the class ahead of time, and we were only there for maybe a half-hour. This was the same classroom that Kahn worked with the museum to set up. It was really gratifying to hear the other end of that story! Interview #207 with Tom R. Halfhill, former editor with Compute! Magazine. I had the pleasure of meeting Tom in 2009, when I just happened to be in the neighborhood, at the Computer History Museum in Mountain View, CA, for a summit on computer science education. I was intensely curious to get the inside story of what went on behind the scenes at the magazine, since it was my favorite when I was growing up in the 1980s. We sat down for lunch and hashed out the old times. This interview with Kevin Savetz covers some of the same ground that Tom and I discussed, but he also goes into some other background that we didn’t. You can read more about Compute! at Reminiscing, Part 3. You may be interested to read the comments after the article as well, since Tom and some other Compute! alumni left messages there. A great story in this interview is how Charles Brannon, one of the editors at the magazine, wrote a word processor in machine language, called SpeedScript, that was ported and published in the magazine for all of their supported platforms. An advertiser in the magazine, called Quick Brown Fox, which sold a word processor by the same name for Commodore computers, complained to the magazine that what they were publishing was in effect a competing product, and selling it for a much lower price (the price of a single issue). They complained it was undercutting their sales. Tom said he listened to their harangue, and told them off, saying that SpeedScript was written in a couple months by an untrained programmer, and if people were liking it better than a commercial product that was developed by professionals, then they should be out of business! Quick Brown Fox stopped advertising in Compute! after that, but I thought Tom handled that correctly! This entry was posted in History and tagged Atari, computer history. Bookmark the permalink.